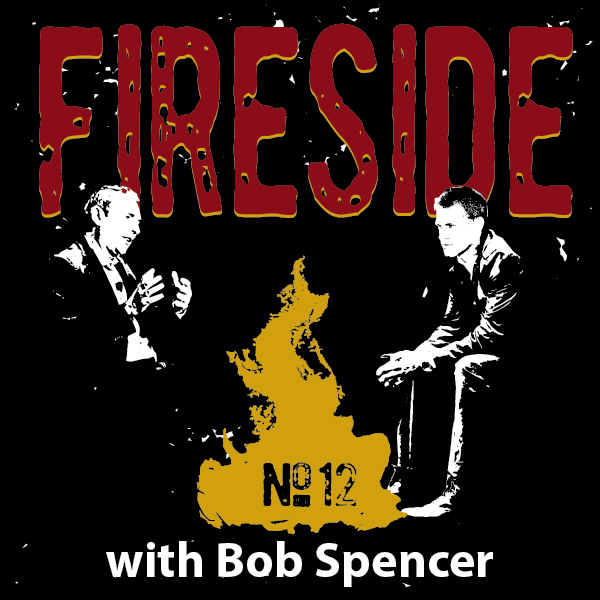 AND THE 5TH & FINAL QUARTER"
Today’s guest is Bob Spencer. 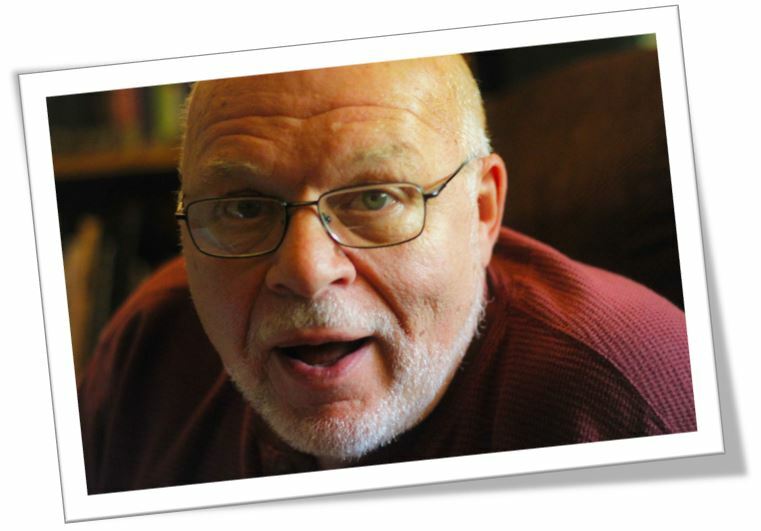 I’ve asked to interview Robert Spencer today (“Please, call me Bob.”) because he is easily one of the finest classroom trainers I have ever witnessed, and I’ve witnessed hundreds. On the one hand, he’s a tough act to follow, because he is peerless. On the other, he’s a piece of cake to follow because he’s so gracious, sets you up for success, and leaves participants in a proper frame of mind and happy to be alive, just like Springsteen concert goers. He’s also an extraordinarily gifted facilitator and coach. He is all this, I believe, because he has lived a most fascinating life. When combined with book smarts, crackling intellect, great intuition, a velvety radio voice, effortless timing, a deft touch, and wicked comebacks that leave everyone oohing, aahing, snickering, and giggling, well, he’s simply an unstoppable force of nature and all-around delightful guy to be around. Did I mention he’s sassy? He’s very sassy. Historically, he has specialized in communication, leadership, management, teambuilding, motivation, and performance management, and is widely renowned for his workshops on Social Styles, Versatility, DiSC, Team Ownership, and Confronting Shortfalls, making ubiquitous commodities feel like luxury goods. His talents have taken him to a variety of industries over the years—healthcare, hospitality, manufacturing, accounting, aerospace, and defense among them. He attended Michigan State University and degreed in both Psychology and Sociology. I caught up with him in Florida. Bob Spencer: I am happy to be here. Blake: Excellent. Let’s start with a softball: Do you remember when and how we met? Bob: Let me think. It was some years ago…yes…it was an early morning, topside on the Mayflower. [Laughter] Seriously, I think it was 1999. You were teaching workshops at Lockheed Martin in Orlando. Blake: Safe to say we’ve known each other a very, very long time! Bob: Yup, Blake, we are both getting older. Blake: How about we start here: Walk us through your background. I remember bits of it, and found it fascinating, but it has been a long while since I’ve heard you tell it. I’m particularly interested to know when you knew what you wanted to do or be. And, did your ambitions change over time? Talk to us about your journey, and how it evolved over the years. Bob: Well, when I was a freshman at Michigan State, I didn’t have a life focus. I really didn’t have a clue what I wanted to do when I grew up. I spent my first year as an Engineering major, but it didn’t feel right for me. The next fall I shifted gears and majored in Psychology. It suited me. I graduated 3 ½ years later with a degree in Psychology. But the problem remained: I still didn’t know exactly what I wanted to do with my life! At the time, my grandmother had lung cancer and was in the final stages of her life. I moved to Florida to support my grandfather during her passing. During those six months I worked in a liquor store. After her passing, I gravitated to Denver, Colorado, where I was hired—under a federal grant program—as a social worker for two nursing homes. That’s when I started to hone the application of my people skills. Eventually, the federal grant ended and I returned to Michigan (where I’m originally from) and found employment with Kent County as a psychiatric social worker supporting an after-care unit associated with the state hospital. I was part of a team providing follow-up care for patients being discharged back into the community. Bob: This was before many of the psychiatric medicines used today. As a team, we were engaged in providing therapy, medication reviews, and community/family support. My mentor, and a member of our team, Dr. Jerry Vanleeuwen, identified the need for an organization to focus specifically on teens returning from the state hospital and also to work with troubled teens being referred by local schools and hospitals. Kent County agreed, and the Advisory Center for Teens [ACT] became a reality. I went with Jerry to ACT, where we were providing guidance, counseling, and support to troubled teens. While working at ACT, I enrolled in a Master’s degree program in Guidance & Counseling. I learned a lot and enjoyed my job, but after enduring three more Michigan winters, I packed my bags again and moved to Orlando, Florida. I taught 7th grade math for one year until I found employment again as a psychiatric social worker, this time with Orange County Social Services. We had three psych wards locally, spread across two of our local hospitals. The county needed somebody who could speak that language and do interface with vocational rehabilitation, and I became one of the people on the team. I did that for a number of years, and then our director retired. Our assistant director promoted into that slot surprisingly asked me to be his assistant director! Blake: How long did you do that? Bob: Several years. But I felt I was struggling for lack of good leadership skills. In retrospect, I probably was a better leader than I gave myself credit for at the time. The positive result was that it put me on a quest to learn leadership skills with a focus on application in the real world. Bob: For a number of years I attended every leadership training I could find, listened to leadership tapes in the car, and read books on leadership. One day I was offered a part-time teaching job through Mid Florida Tech (a local vocational school). I was to teach Supervision I and II at Disney University to young adults desiring to learn leadership skills. Blake: That is a change from your psychiatric social work background! Bob: I was dubious at first, but a friend encouraged me. He kept reiterating, “You’ve already got these skills; you can teach this stuff.” So on Tuesday and Thursday nights, I began teaching leadership skills to Disney employees. I soon realized I loved teaching adults and was learning as much as they were. It brought back to mind that old saying, “The best way to learn something is to teach it.” It was a fabulous time. Totally clicked for me. I had found my calling. I spent two years working part-time at Disney University (nights), and as assistant director during the day. Mid Florida Tech offered me a full-time position teaching leadership skills to adults. I jumped at it; I just had to follow my new passion. I left Orange County Social Services and went to Mid Florida Tech for the next two years. Then, in 1993,I started my own company, The Institute for Human Development Inc., and landed contracts with Walt Disney World Company, AT&T, Lockheed Martin, local hospitals, Arthur Andersen, and a few others. Blake: And the rest, as they say, is history. This prompts a number of questions for me though, Bob, but let’s start with the first. You’ve described working in nursing homes, then with teens in social services. This series, Fireside, is ruminative in nature, looking—as it does—back over one’s career and searching for trends, patterns, teachable moments we can all apply to become better managers. From a sociological perspective, what did you see people wrestling with in these two seasons of life? As teens, and as elders? How were their struggles different, or similar? Bob: Great question. The first thing that pops into my mind is identity. Obviously, for teens, they’re still trying to figure out who they are, what makes them tick. The way our society is today, a lot of people are losing access to and familiarity with the spiritual side of their nature, and it’s shifted toward more of a focus on things that you can see, touch, smell. The senses. And everyone is losing sight of their spirit, and inner guidance. Lots of young people struggle with this, desiring to feel part of something bigger, to be connected to something meaningful. This can lead to great things, but it also leads to gangs, cults, being influenced by the wrong crowd. For seniors in the nursing home, I believe for many of them life had passed by, and they really didn’t know—in many respects—who they were. They had gone through life, many of them, simply doing what they’d been told to do without ever really exploring why am I here, what am I here for, what are my God-given talents, what do I do with my life? It doesn’t apply to everyone, but for many of them it did—this sense of looking back on their lives and wishing they had done something differently. Blake: Identity. Okay, second question, a bit more pointed. You’ve described a slight sense of ruefulness. What percentage of people that you interacted with in the nursing homes seemed to have a sense of peace about their life? Satisfaction? How many of them regretted, in some way, their chosen path? Or wished that they had done more? Or felt like they hadn’t lived up to their potential somehow? Bob: Let me caveat my response, Blake. My primary task was initial intake, gathering histories on these people and short-term follow-up. After that, I didn’t interact a lot with them, as my job description had me focused on new arrivals. But my gut says that maybe 5% of the people were really put together and happy with the lives they had created. They felt like they had lived a full life and they were still present in the here and now enjoying life. But a huge percentage—a lot—were just lost. They seemed to be living in daydreams. I believe people feel fear: Fear of failing, fear of success, fear of the unknown, and in an effort to mitigate their fear they retreat, play it safe emotionally. This retreat cuts them off from their inner spiritual guidance system. An analogy I later learned at ACT was this: Picture yourself in a hole in the ground. You dug the hole yourself and climbed in a long time ago. Your hole is damp, musty, and cold, but it is your hole. You know every square inch of your hole and it becomes comfortable, nothing to fear. Outside your hole is fresh air, warm sunlight, green trees, and fragrant flowers. But what else might be hiding out there? Fear takes over and you spend the rest of your life convincing yourself how comfortable and safe your hole is. You interacted with and supported so many different patients while working in the nursing homes. How did it affect you? Bob: I began to feel depressed. Hey, I was young, and hadn’t yet developed the skills to cope with death and dying, so daily when I returned home I could feel the weight on my shoulders. People were dying all around me, and I had to learn skills to communicate with them and to protect myself at the same time. Protecting myself emotionally, I used classic behavioral modification. At the end of each day, I would place all the manila case folders in my briefcase, lock its latches, lock it inside the trunk of my car, and any time I thought of work I would tell myself it is locked in the trunk. I will not think about it again until tomorrow. After four weeks, I seldom had thoughts of work after 5:00. Blake: You had to learn to separate work from personal. Bob: Yes. I had to separate that emotional stuff and not carry it home with me. I also felt the need to communicate at a deeper level with the terminal patients who were being placed there to die. What I discovered was that most people communicating with terminal patients have a difficult time talking openly about the feelings the dying person is experiencing. They will dance around the situation and talk about the weather or trivia but not talk about feelings. For most terminal patients, having open and honest communications about their passing was welcomed and freeing for them. I learned that I had to build what I refer to as a “bridge of trust.” They needed to understand and believe that I would not judge them negatively. I helped them create an emotional safety net. Once achieved, we could talk about the dying process as they were experiencing it. Later in my career I used a similar bridge of trust process in the classroom. I believe the biggest fear adults have in a classroom is looking stupid in front of their peers. Once that bridge is built, students trust that the facilitator will not allow them to appear stupid when called upon. I also believe that the learning environment needs to be fun. When students perceive the learning environment to be fun and safe, they engage in the process and the learning takes a quantum leap forward. Blake: That’s a great segue to my third question on the matter. What skills did you learn from these early jobs that proved transferable to your career at large? Partitioning or quarantining your work and building a bridge of trust are two great examples, but what additional things did you learn? Bob: At ACT, Jerry was a great leader. He developed people and, under his guidance, I learned that one of the most important leadership and therapeutic skills is active listening. Not telling people in a therapeutic vein what to do, but listening and asking questions to help them discover their next step. I think active listening is key for every manager and leader, and it’s all but a lost art. Many managers and coaches spend too much time telling, directing, instructing. Either that or they don’t communicate at all. Both—too much or too little—are symptomatic of getting wrapped up in one’s own world. But to understand and engage people, you first have to hear them. We had a saying, “When someone’s schizophrenic, you gotta get schizy in there with ‘em,” and that’s about truly listening to them, not judging, not disputing. Explore what they’re feeling, listen to what they’re telling you. What are they going through? What’s in their head? Even though you know it may be a hallucination, you gotta go there for a bit before you can help them start to challenge it. Blake: Meet them where they are. Bob: Meet them where they are before you take them by the hand to hopefuly lead them in a new direction. Blake: Keep going. Other skills you learned in these facilities that have proven wise three and four decades later? Bob: Sensitivity to people. Empathy and caring. Orange County sent me to a formal Social Styles training—which helped me understand and communicate more effectively with others. It provided me with a framework, a structure, a way to think about and interact more intentionally with people. Not to label them, but to understand where they were coming from, and how they might be thinking. At the time, I never dreamed that someday in the future I would be teaching thousands of leaders how to apply this model in the real world. I also didn’t realize at the time that Social Styles or DiSC are core models that all leaders should be proficient in. Blake: I wanna circle back to active listening again in a moment, but before we drift too far from it, I want to revisit your briefcase because it also reminds me of the importance of boundaries. Blake: I don’t know whether you’ve observed this or not, but I suspect you have. Sometimes I observe workplace coaches, performance coaches, who lose their way, assuming the role of licensed clinician, therapist, counselor. I empathize with how they got there: Talking with a client about work issues, which are attached to personal issues—and Blammo!—you find them baring their soul. But we have to be careful. We have to know where the boundaries are. Blake: The slippery slope can lead to all sorts of places, so keeping it focused is key. Bob: They have to remain objective, yes. I think when the relationship morphs, and you’re no longer coaching or mentoring them, yes, we’ve crossed the line. And that can be okay, as long as both parties acknowledge the point that the coaching relationship or mentorship is now officially ended. We’re friends now, or mutual supports for one another. But if one person is still trying to balance coaching, mentoring, buddy, and family friend, you’re right, it gets really confusing. Most of my coaching (which happens after class and then continues periodically) is defined by that class. To the extent it continues, it continues afterward in the context of that class. Blake: Understood. I think when it gets slippery is when someone is coaching or mentoring an employee for, say, years on end. You’ve coached them a dozen times, and now people call one another just to shoot the bull, ask about the kids, be buddy-buddy versus striving to improve workplace performance or hold the employee accountable for recent action items. Bob: What you’re describing is typically the result of reaching the end of the runway. The coach or mentor doesn’t have anything additional to bring to the table, the employee doesn’t need anything particular at this time, and so yes—the relationship needs to come to an end, or pause, or transition into a different thing. Blake: Back to active listening for a moment. Why do you think it has declined? What is happening societally, or otherwise? You alluded to two extremes—overload or abandonment—telling others everything you know, or being absent. What are you seeing in contemporary life that is killing active listening? Bob: If we go back to pre-World War II, we see a value system that reinforced blind respect for authority figures. Let’s say you agree with that—more autocracy than today. So I have a boss who says to me, “Bob, I want you to do ABC.” I go do ABC, and I pat myself on the back because my value system tells me I succeeded at doing what I was told. Historically, active listening wasn’t really an en vogue skill, but today I believe it is an absolute necessity for a leader and they need to know how to use it to build trust and ownership. Now, I’m speaking broadly, and of course there were countless leaders and managers who were fabulous at stimulating ownership, but overall, American society in particular was more autocratic then than it is today. Bob: See, Blake? 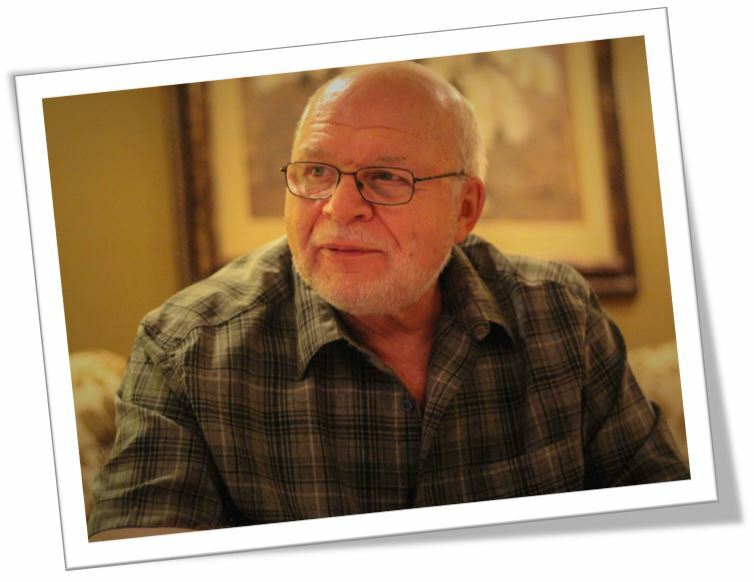 Active listening began after him—with my generation, the Baby Boomers. At the end of those wars, World War II, Korea, and Vietnam, more and more young adults began asking why. I think you’ll find early seeds of active listening in the Nuremberg trials. By the time we get to Vietnam, I’m already in high school, and all my long-haired friends began challenging everything and everyone in the establishment. Their long hair was a flipped-finger to “the man” in authoritative positions. People are shouting to LBJ, “Get out of Vietnam,” so a new why-based value system begins to take root. If your friend’s father had barked, “Drop and gimme fifty,” my friends woulda said, “Why, man? What for? What the hell are you talking about?” [Laughter] It was a total disconnect—our generation and theirs—and we drove the autocrats nuts. But so it began, this influx of Boomers asking why, and nobody knew how to listen. The preceding generation was still lecturing, but it’s falling on deaf ears. Please understand we are talking about different generations with different values. Values are not right or wrong…they are just different. When I became assistant director at Orange County Social Services, I listened a lot to my people. In retrospect, I could have done better. It’s an underappreciated skill, and the sort we teach in a 2 to 4-hour class, but it really takes a lifetime of work and intentional attentiveness. It is the main skill I use in the classroom to build the bridge of trust. Today, when an employee comes to a skillful leader with a problem A, B, and C, the active listening response will be, “So, you’ve got a problem with A, B, and C. Is that correct?” In that moment, two things just happened. One, the leader took the time to really listen, so the employee feels validated. Two, when repeated back, it clears up that 30% loss that usually occurs in the first interaction. Now it becomes a matter of asking, “What ideas do you have for solving this?” Often the employee has an idea for solving the problem, so the ball’s in their court. But the outcome will predictably be better because the employee (the person who actually does the work) is engaged in the process and has a lot of say in what gets implemented. They own it. Blake: This makes me think of communication in general. I don’t know whether it’s eroded, or simply evolved. I think the jury is out, and perhaps hung until we know the effects of fifteen consecutive years’ screen-time among teens. Bob: Probably so. Emails are great to confirm information like our visit today, at noon, in Florida, but not for conveying emotion or satire. I run into managers all the time who try and do everything electronically, be it over email or texts or instant messaging. Hire, fire, run meetings, no face-to-face. I think there’s a wrath coming as the next twenty years unfold. Blake: I think what active listening does, though, is validate. If someone says, “I have a problem with ABC” and you say, “Great, do XYZ,” you steal their thunder. If, instead, you—as their leader—ask, “What would you do?” they get the opportunity to say, “I was thinking LMN,” and if you agree, “Great, go do that!” will motivate them, plus leave them feeling engaged and more apt to solve the problem on their own the next time. Bob: Wanna know the best part? Bob: It’s free. And here’s an irony. A lot of managers complain about employees who can’t seem to think for themselves. “They always run to me,” when often the reason is because we’ve trained them to. By actively listening and asking for their ideas, we shift the monkey to their back and they own it. They get to care for it and feed it. It becomes theirs. Over time, they’ll become more self-sufficient, and it’s a win/win. Smarter, abler employees who are promotable, and leaders who aren’t unnecessarily burdened or heroic. They can now be strategic, not always fire-fighting. Blake: I appreciate the Nuremberg reference, because I think that pinpoints the timeframe, but who originated active listening? A university? An author? The term wasn’t there, and then it was. Bob: I don’t know that I can answer that question definitively, but what I can tell you is that I remember, in the late 60s and early 70s, Carl Rogers—the psychologist from Chicago who wound up in La Jolla—developing Rogerian psychology. It trickled down to what I was doing, for sure, in the Advisory Center for Teens. Rather than therapists sitting there and listening and taking notes, I began to listen and feed it back to the client. Clients often responded with, “I feel so much better! Thanks! See you next week!” It was working. Was Rogers the source of active listening? I don’t know, but I can say that—from my perspective—everyone around me was studying him, and his work really came into play through active listening. Blake: Always amazing that a paradigm shift can evolve from so few elements. Bob: For the longest time, psychotherapy had been “the talking cure,” but now it was the listening cure! Freud was about couches and cocaine. It was as if an entire generation of therapists began saying, “We’re not going to tell you what to do. We’re not going to interpret for you. We’re not going to give you drugs. We’re just going to let you talk and we’ll ask questions.” I know this doesn’t amaze you, because you do it all the time, but man, was it liberating for us at the time! Revolutionary. We didn’t have to bring all the answers; we just had to be vessels, conduits, sounding boards. It’s so effective, and it’s true. In fact, this is what you’re doing to me right now. You’re asking me a few questions, really listening, engaging, and here I am running my mouth off! [Laughter] I find, even in coaching relationships, that just asking questions is so effective in helping other people sort through their weeds. Now, the exceptions, of course, are with people who have clinical issues and diagnoses, be they severe depression, extreme schizophrenia, something like that. But for the gen pop [general population], and those of us in work situations, active listening is a powerful leadership tool for developing employees and making the leader’s life easier. Bob: And more to the point, how you made them feel about themselves. Not about you. Because the aim isn’t for people to be impressed, or to love or like you, it’s for them to love themselves, to be okay with themselves for who they are, and to simply learn the skills to show up as the best version of themselves they can possibly be. Blake: Which requires some attic cleaning, or moving baggage. Bob: In that line of thinking there is a truism, from Rational Emotive Therapy, that I learned at ACT and has served me well over the years. People and situations do not cause us problems; it is what we say to ourselves about those people and situations that causes problems. It is our self-talk that is the problem-creator and, once controlled, will change one’s perception of reality. Blake: Yes, absolutely, our filter. Okay, fourth question. Go back to your first experience teaching adults. You described that they taught you as much as you taught them. What did they teach you? Bob: I was teaching basic leadership models, DiSC, Active Listening, Values Clarification, and Situational Leadership, all the greats like that. My focus became the application and interaction of these models in the real world. At first I was just teaching the models, but soon my learning expanded, driven by their questioning about how the models interacted with each other and then their appropriate application in the work environment. Real world applicability, which is different than what you often learn from, say, a professor in a university. Blake: Oh man, you’re hitting something that is so important. I fall prey to it, too. I just love language, and models, and imagery, and theories, so—if I’m not careful—I’ll while away precious time chasing those rabbits. You were able to break past the lecture/model mode? Bob: Yes. Talk about connecting the dots from my varied background experiences! It worked, and soon I had a process and a focus that’s served me and my clients well for the past twenty years. I’ve added new models and evolved new training programs over the years as the world of leadership has changed and evolved. My latest program is Confronting Shortfalls and Broken Promises. Blake: Appropriately confronting others is a skill many managers lack. Bob: Isn’t it, though? Many leaders (as well as parents) fall into one of two categories. They confront with force and bluster like a Sherman tank rolling across the battlefield, or they withdraw and avoid, hoping the situation will self-correct. Both responses do little to assist the employee or child to correct the existing problem and move forward in a positive and engaged fashion. That reminds me of another component of leadership training that has evolved for me over the years, building and sustaining a vision. I think one of the great masters of this skill was Walt Disney. If you’re interested, I can share a couple stories I heard over the years. Bob: When I began with Disney, I was teaching existing leadership teams at Walt Disney World in Orlando. I spent years engaged in facilitating classes across Parks and Resorts. One day I was walking across EPCOT with a manager. The park was really active, guests everywhere. We were walking and talking about a particular need he had in his department when suddenly he was no longer next to me. I stopped and looked around. He’d seen a piece of trash beside the sidewalk, and without thinking, went over to pick it up. He was not part of the custodial department. In fact, he was dressed in a coat and tie, but going out of his way to pick up trash. When I asked him about it, he shared a story about Walt Disney that I heard repeated many times again in subsequent years. It was very common for Walt, when walking around Disneyland by himself, or with his family, or with high-ranking officials, to stop and pick up trash and dispose of it in the nearest trash can. He didn’t have to lecture, create rules, or threaten employees to keep the park spotless. He walked the talk, and by doing so reinforced the vision of a spotless park for guests to enjoy. Thirty years later, managers are picking up trash without even thinking. Walt was creating a vision of a spotless park. Another story that speaks to Walt’s power to instill a vision was shared with me by a long-time employee. Jerry (a different Jerry!) said he was born and raised in Anaheim, California. The summer between high school and college found him working at a new tourist attraction down the road called Disneyland. His job was conductor on the steam train, and by the third day he had learned the “power of the microphone!” He described himself as a natural-born ham and was having fun kidding around and calling out sites to the guests on the train. All of a sudden, a guest three rows in front of him stood up. Jerry asked the guest to please sit down, but the man didn’t. As the guest slowly turned around, Jerry realized it was the owner of the park, the BIG BOSS, the man himself looking him dead in the eyes! The train was slowing to a stop at the Adventureland depot. Jerry panicked, jumped from the still-moving train and ran to the nearest restroom to hide. Walt Disney followed him into the restroom and asked Jerry for his name. He knew this was it, the end of his summer job. But what happened next was Walt Disney at his best, breathing life into his vision. They shook hands and Walt said, “Jerry, you were just great out there. You were having fun and entertaining our guests. I want to say thank you. Now get back on that train and keep doing what you’re doing!” Thirty years later, Jerry continued sharing that story with Disney employees. Blake: I love it! Thank you for those. Switching gears now, what advice do you have for us as facilitators, teachers, trainers, professors, lecturers? Bob: KISS [Keep it simple, Stupid] and build in plenty of small-group application points. I like to have students work in groups after each major learning point focused on application to a real situation they’re currently dealing with or have had in the past. In the early 2000s, I was facilitating five core programs for a large corporation. I, along with other facilitators, had been certified in these classes and we were often teaching the same class at the same time in adjoining rooms. One day the sponsor of our work called me on the phone and asked, “Why are your scores so much higher than the other facilitators?” The material was too theoretical with not enough application, I thought, and by tweaking the flow and adding group processing (changing the format but not the learning points), students engaged and everyone’s scores improved. Blake: The rising tide raised all boats. People who have as much skill as you, Bob, can make it look easy. It’s a double-edged sword. I know a lot of dry teachers—who have marvelous material—but it falls on deaf ears because everyone’s asleep. Great, charismatic instructors, on the other hand, might wow people for a couple days, but it’s just vapor. There’s nothing there. You always impressed me because you had wonderful theoretical foundations, plus amazing pragmatics, plus an inspiring charisma that left everyone wanting more. I think that’s real talent, welded to an under-chassis that’s a strong foundation. Bob: I don’t know about all that, but thank you. I just know this: For me, it always goes back to active listening. It’s a disposition, a respect for human beings, empathy. As I mentioned earlier, a lot of employees, managers, leaders, salespeople, engineers, whatever they are…they come to my class, and the biggest fear they have is to look stupid in front of their peers. I want to challenge them, and provide a forum in which they can learn and become better, but it begins with safety. If they ask a stupid question, I feed it back to them then lead it in the direction it needs to go, validating them and keeping their ego intact. It may take a couple hours to get everyone in the water, but I think they learn pretty fast that I’m their safety net. They can open-up with me. Once this happens, and they realize they’ll learn something new and useful—pragmatic—everything makes sense, dialogue begins, and they engage. Blake: I know that between us we probably have dozens of interesting classroom stories, but can you think of any that jump out at you regarding participant engagement? Bob: I wouldn’t know where to begin. Do you remember that old Tom Peters In Search of Excellence video with Pat Carrigan from the GM parts plant in Bay City, Michigan? Pat put everyone on equal footing between management and the union, and it changed their worlds. That’s what I wanted to do here, so we did it. And it changed their worlds. It elevated the classroom material—theory—to new relationships, new ways of being. At the start, there was a lot of tension in the room. The union president sat at the back of my classroom, arms crossed, facing away from the table and looking into the corner. Totally disengaged. By 10:00 AM, he’s halfway turned around. By 11:30, he’s completely turned around and fully engaged. For 3 ½ more days, he was all in. On a visit to that facility years later regarding a different matter, I was approached by one of the managers from that leadership team four years prior. “Bob, I’d like you to come over to our production area to see what we’ve achieved since you were here.” Union and management were working as equals achieving unheard of production numbers. Blake: It all began with psychological safety, then engagement. Bob: Yeah, so what you described earlier as charisma, I see as creating psychological safety. Blake: I’ve always loved the quote, “It’s hard to hate up close.” Ethnocentrism. Objectifying people and classifying them like, “Those Muslims over there,” or, “All you Catholics!” [Laughter] But once you develop a relationship with ‘em—whether Muslim, Catholic, management, or union—well, they’re just people. We’re all just people. Bob: Us and them becomes we. Blake: Speaking of we, I’ve enjoyed our conversation. Just a few moments more, then you’re free as a bird! We haven’t visited in eight years, so can you bring me up to speed? What are you up to next? Anything exciting? Bob: Brace yourself: I’m a new dad! Blake: What? I thought you were a grandfather! Bob: I’m both. 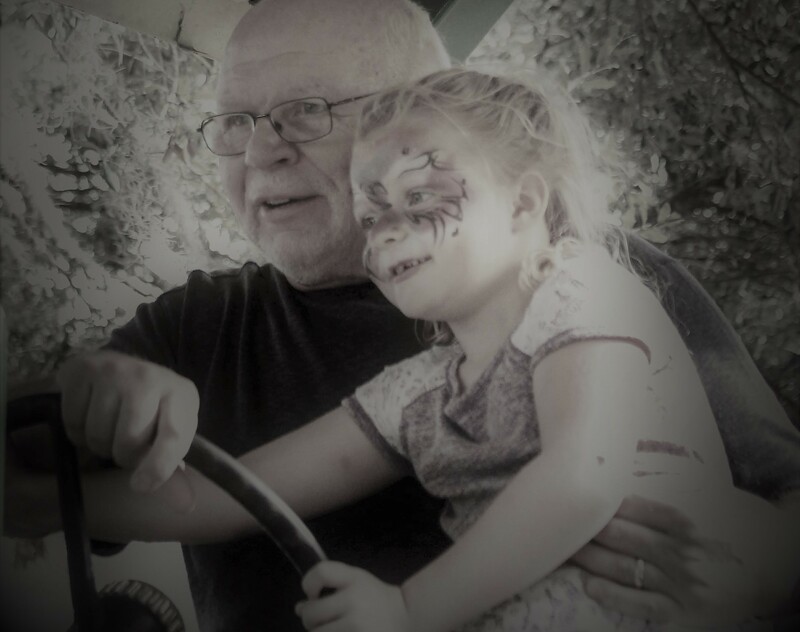 Our granddaughter has become our daughter, so I’m rebooting my life. Blake: You’re a case study, then, for life in transition and leadership passages! Bob: Work-wise, in the short-term, I’m coming alongside a company that’s going through tremendous growth and will be helping them in the field. Embedded. I am also engaging with a company originally out of Europe. They produce and distribute a Pulsed Magnetic Field medical device for home use. It stimulates a 30% improvement in blood flow through microcirculation. That’s huge. It means 30% more oxygen and nutrition to the cells, and a 30% improvement in metabolic waste removal. I’ve seen it change lives and give hope to people with challenging medical conditions. I’ve been using one for the past year and the changes have been incredible. (Three years ago, blockages in my heart arteries were pushing 50%. Several months ago, after using the device for one year, the cardiac PET scan showed no blockage.) The device has been approved by the FDA and installed in the international space station by NASA. I believe the growth of this company is going to be incredible over the next ten years. I’m working with one of their senior leaders, assisting [the company] in developing new leaders. Bob: I love what I’m doing, Blake, because it’s so necessary. The companies I’m assisting have a great diversity of people, but most have few leadership skills. So helping them learn the skills to properly engage their teams is an inspiration to me. I don’t know about you, but now I run into thirty-something HR types with most large corporations and I suggest basic foundational models like Social Styles and they say, “Oh, sure, I took that in graduate school.” When I probe, they had three 1-hour training sessions and think they’ve mastered it! They’re now chasing the latest, greatest, most complicated sizzling thing instead, but they don’t practice the basics. Are you excited about this unexpected phase in your career? Your 5th quarter? Bob: I was on the retirement glide path, but I’m actually really excited about what’s ahead. I think for any teacher, it’s hard to pour yourself into someone only to say goodbye, class after class. Here, I’m getting to run alongside their bike for a nice, long while. I’m excited to see where it takes us. Blake: Relationships are underrated. Just don’t leave ‘em in the trunk! Bob: [Laughter] No doubt! I’m eager to see what happens to the students when I see them day after day in their own workplace. They can’t run away from me now! Blake: On that note, I need to let you run away! Thanks for your time today, Bob. I’ve appreciated catching up. Bob: I’ve enjoyed it too, Blake, so thank you. You pulled a lot out of me that I forgot was even in there.